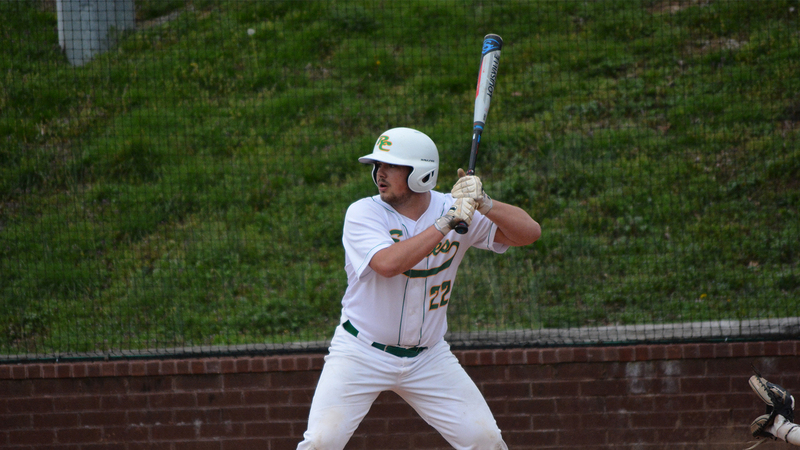 Evensville, TN — The Rhea County High School baseball team picked up it’s third win of the season with a 2-1 win over Bradley Central on Wednesday night. Rhea and Bradley were locked in a scoreless tie until the fifth inning, when the Eagles went to scrapping. Catcher John Combs started off the inning with a walk but pinch runner Jas Reel was thrown out going to third on the Blaine Reel grounder. Ross Pendergrass then hit a hard grounder that shortstop could not handle and ball squirted out into the outfield, allowing Reel to score on the play. Pendergrass ended up on second on the play. Hunter Hale then delivered a double to drive home Pendergrass with the second run of the game, a run that would prove to be the game winner. Now all Ricky Guthrie would need to do is hold the Bears to one or less runs over the next two innings. Neither team scored in the sixth inning setting up the final confrontation in the top of the seventh. Guthrie got the first batter on a strikeout but then gave up two singles to Tucker Cox and Preston Taylor(3 hits on the night). After getting second out of inning on pop that catcher Combs corralled, the Bears plated Cox on hit by Caden Sherlin. Guthrie knuckled down an induced a ground ball that Travis tossed to Blaine Reel at second base for the final out. Guthrie and Dulaney has combined for eight hit one run game to give Eagles their third win of season against seven losses. Guthrie has picked up the win on all three occasions. Dulaney pitched an excellent three inning before turning it over to Guthrie in the fourth. Dulaney worked his way out of a bases loaded jam in the first and only gave up one hit after the first and struck out the side in the fourth. Guthrie gave up four hits and one run while striking out seven hitters. Neither pitcher gave up a walk. Bears starter Andy Bunch pitched well, going five innings and only giving up five hits and one walk on the night. 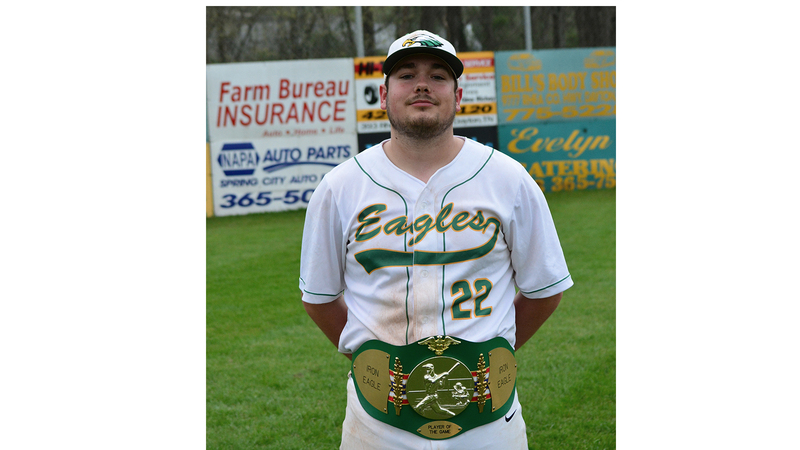 Matt Levi received the “Iron Eagle” player of the game with 2 hits and walk on the evening. But it was a team win with clutch pitching, defense and hitting by several players to pull off the win. Matt Levi, “Iron Eagle” belt winner with 2-2 performance with walk on the night.